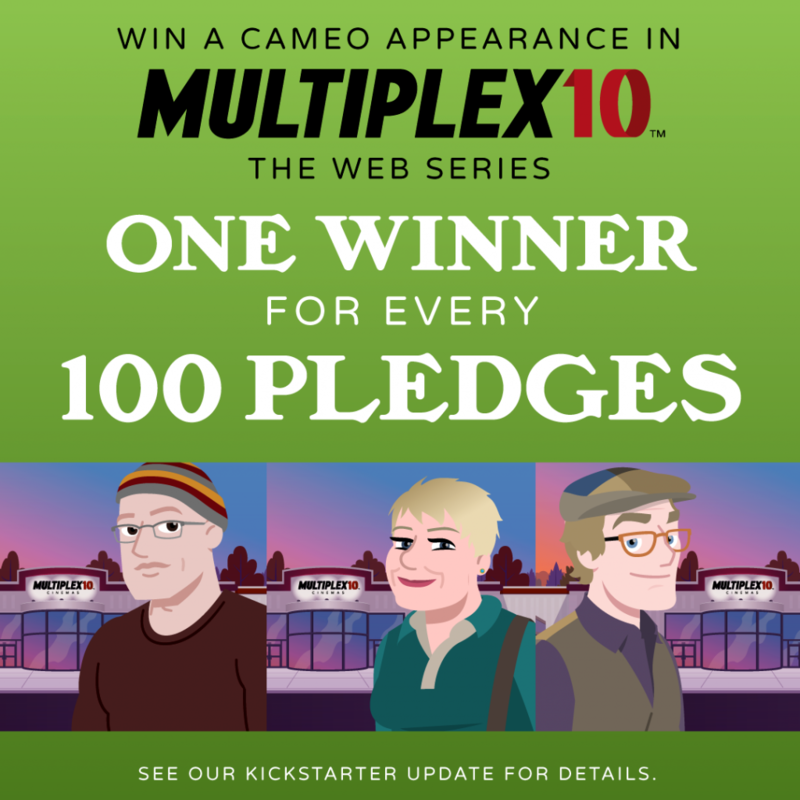 Be an extra in Multiplex 10: The Web Series! Additional cameos will be unlocked for every 100 backers we get, and as a thank you to earlier backers, they will get multiple chances to win —but every backer will have at least ONE chance. Please see the Kickstarter update announcing this giveaway for more details. Next Next post: Announcing… new Movie Review Comic milestone goals!